General Dentistry involves everything from routine checkups and cleanings to restorations and root canals. Routine checkups and cleanings are necessary to keep good oral hygiene and prevent gum disease (also known as periodontal disease). Direct restorations are fillings placed immediately into a prepared cavity in a single visit. They are the restoration of choice when the amount of tooth loss to be repaired is minimal. 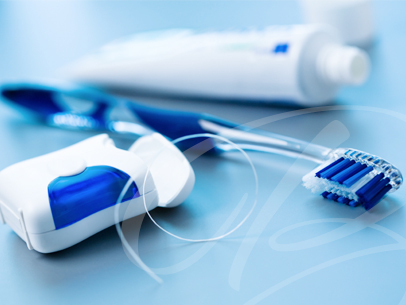 They include dental amalgam, glass ionomers, resin ionomers and some resin composite fillings. Dr. Boehly prepares the tooth, places the filling and adjusts it during one appointment. Dr. Boehly does not routinely place amalgam restorations. The material of choice for fillings is composite resin. Indirect restorations include inlays, onlays, crowns, bridges and veneers. These procedures are usually required to replace a more significant amount of tooth structure. When a significant amount of tooth structure is lost, lab fabricated restorations are indicated because the materials used are much stronger and will hold up in the mouth for years longer than conventional in office composite materials.